AP's second victory in the 1st Round proper of the competition, against fellow Southern Leaguers Dartford. The 15p programme has the usual lineups and pen pictures pages, plus a fairly comprehensive history of AP. 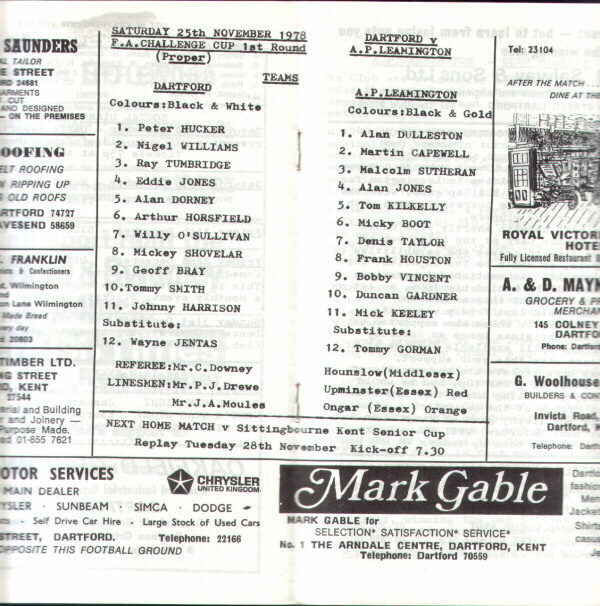 Dartford were welcoming a new manager, Graham Carr, for this game.